Boarding your pet at Birdneck Animal Hospital has several advantages. By choosing a veterinary hospital, you are leaving your beloved friend in the hands of people who care about pets and are experienced in providing quality care. Boarding at our Virginia Beach Animal Hospital means you don't have to worry about your pets being fed on a regular schedule (as opposed to leaving them a giant bowl of food) or about having fresh water available at all times (as opposed to spilling the bowl of water you leave them at home). You will no longer have to worry about them sneaking outside and getting in trouble or worse, getting lost. And best of all, you know that should a medical issue arise, there's a veterinarian available to treat your pet. 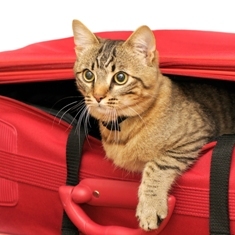 At Birdneck Animal Hospital, we recommend planning ahead if you intend to board your cat or dog with us. Our boarding facilities are limited, and we reserve our boarding spots for our regular patients only. That way we can provide the personalized boarding and care you are accustomed to receiving at our facility. It is never too early to make your boarding arrangements, and the more advanced notice you can give us the better. It's also important for the health of all the animals in our facility to make sure that your pet's vaccinations are up to date. And be certain that he or she is current on flea and tick medication prior to the boarding appointment.